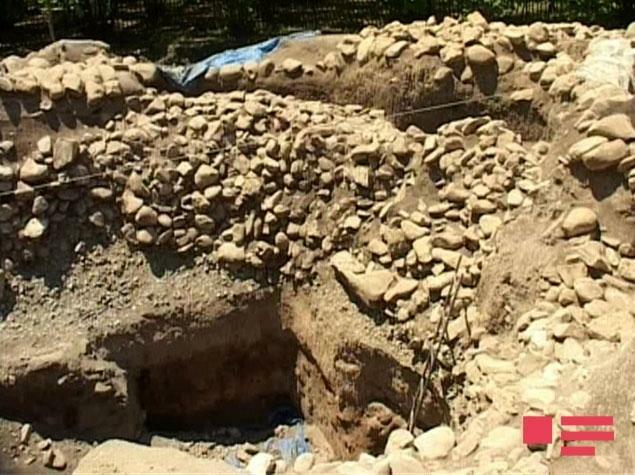 New cultural monument has been found during an archaeological expedition in Dizakhli village of the Gabala region, Day.az reported. The discovered mound is dating back to 3,000 years ago, according to researchers. It has been found that the mound is the burial place of the leader of tribe that lived in the territory of Gabala in 1000 BC. The burial chamber of the mound with a diameter of 35 meters was discovered under 4-meter stone layer and 3-meter earth layer. The archaeological excavations have been conducted under the leadership of the associate member of the Azerbaijan National Academy of Sciences (ANAS), Head of the Institute of Archeology and Ethnography's Gabala Office, Ilyas Babayev. The National Academy of Sciences is the main state research organization and the primary body that conducts research and coordinates activities in the fields of science and social sciences in Azerbaijan. It was established in 1945.